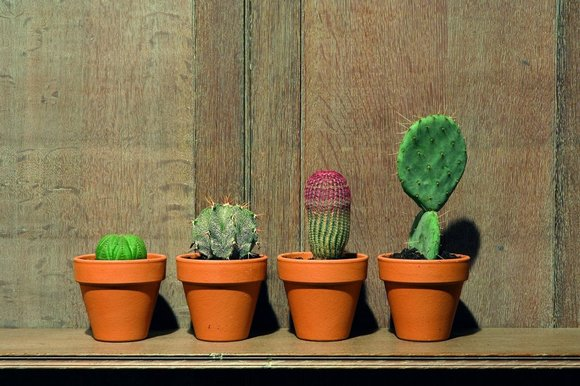 Silly, boring and derivative — Martin Creed’s Hayward retrospective is the pits. Apologies are due to Martin Creed. In the past, I have been rude about him in print and imagined him to be an essentially worthless artist. It was wrong of me to imagine this. Having seen his ambitious retrospective at the Hayward Gallery, I take it all back. Today, I do not imagine Creed to be essentially worthless. Today, I know it, fully and indestructibly, with the kind of certainty you have when there’s one space left in the jigsaw, and one piece left on the table. Creed broke into most of our consciousnesses in 2001, when his feeble piece of conceptual art — in which a lightbulb went on and off in an empty gallery — won the Turner Prize. There were some good artists on the Turner shortlist that year. Mike Nelson, creator of sinister installations that plunge you into a world of superstition and surveillance, was one. Richard Billingham, with his startling photographs of his decrepit working-class family, was another. Instead the judges chose Creed’s thoroughly derivative display of blankness, with its standard art-school strategy of enfranchising the spectator’s interpretations by offering them nothing. Blankness has always played well in curatorial circles: it makes the managers feel creative. Creed’s empty room could be read any way, by anyone. The strategy worked so well that he has since become one of Britain’s most pampered official artists. For the Olympics, he designed an Olympic poster featuring a stack of coloured boxes on a white background. For the Olympic opening, in a much-hyped Creed happening, the land was supposed to be filled with the sound of every bell in Britain being joyously rung. I listened out, but couldn’t hear any. All this is remembered at Creed’s Hayward retrospective, a show that mixes a few moments of minor achievement with acres of tedious blankness and room after room of studied interstitial games-playing. By never saying anything directly, Creed has conquered the art of appearing to say a lot. It’s the strategy of the haiku: show them a pea and they’ll imagine the earth. Most of the time it results merely in feeble art. Sometimes, though, it hints at something darker. One of the first things you see here is a self-portrait of the young Creed grinning from a poster. It’s like one of those portraits of smiling gurus you find outside the headquarters of an eastern cult. Spooky. The display begins, cleverly, with a settee placed obstructively in front of the entrance door, so you have to go round it to enter the show. It has the effect of immediately forcing your attention, and tells you straightaway that you are in the presence of a cunning strategist. Inside, a huge revolving girder sweeps round the gallery, with the word MOTHERS written on it in pulsing white neon. I’m 5ft 10in, and the swinging girder passed just over my head. If you’re 6ft 4in, you’ll probably have to duck if you don’t want to have your head smashed open. It’s a very aggressive work. Mothers in art are usually kindly and loving. This dangerous lump of them has the nurturing instincts of a crane on a building site. MOTHERS does at least have something tangible going for it, which separates it from most of the itsy-bitsy, nibbly-twerky art that follows. The Hayward is a big gallery. Creed has been handed all of it, including the lifts, the lavatories and the terraces. In most of these spaces, his tiny insertions have the impact of a snowflake. One of his most notorious pieces, A Sheet of A4 Paper Crumpled into a Ball, consists of exactly that. Just as silly is A Sheet of Paper Torn Up, displayed, portentously, on a white pedestal. In the room with the light going on and off, one huge wall has been filled with coloured prints taken from a piece of broccoli. One broccoli print is boring. A hundred of them is boring times a hundred. Even sillier is Some Blu-Tack Kneaded, Rolled into a Ball, and Depressed Against a Wall. What kind of an art world in what kind of an epoch responds positively to a blob of Blu-Tack stuck on a wall? Hilariously, the Hayward Gallery boasts, on the cover of its catalogue, that Creed is now “one of the world’s most innovative artists”. Yet the single worst thing about him, made unmissable by this display, is how derivative his art actually is. I’m all for a bit of creative appropriation, and recognise fully that it has always gone on in art, but walking through this show is like walking through the past 25 years of art magazines, spotting the references: Carl Andre’s word poems; Tony Cragg’s stacks; Rebecca Horn’s pianos; Tracey Emin’s neon signs; Kurt Schwitters’s bad portraits; Jeff Koons’s basketballs; Sol LeWitt’s wall drawings; Andy Warhol’s cardboard boxes. Is there anything here that Creed actually encountered in real life, rather than in the pages of Art in America? Where Damien Hirst has his dots, Creed has his stripes, painted on the walls, knitted into hangings. Another of the show’s recurring features, its emphasis on fragile whiteness, is insistently reminiscent of Yoko Ono, whose angelic conceptualism Creed crudely misshapes into silly instructions typed on the wall. “F*** off”, says one sheet of minutely typed paper when you lean in. Even the mix of his output, from word pieces to portrait paintings, from neon art to cactus art, from video to wall-drawings, is your standard post-Damien Hirst Brit Art mix. By never perfecting anything specific, the pecking sparrow that is Martin Creed never alights anywhere long enough to be spotted. Even his most unpleasant piece, a film work in which an oriental girl comes into a white room and defecates on the floor, reminds you forcefully of that sad final photo of Toulouse-Lautrec having a poo on an empty beach. Lautrec was a clapped-out alcoholic who was about to die — his final photo had pathos to it, and a sense of foreboding. In Creed’s version, the young oriental girl is having her dignity ripped away for no worthwhile artistic reason. To get a sense of the real Martin Creed, you need to listen to his music. He has his own band and, as part of the show’s presence, has brought out a new album called Mind Trap. It’s full of anger, self-loathing, hatred, pity, loneliness and all the bleak and true emotions his thoroughly derivative art seeks so irritatingly to hide.